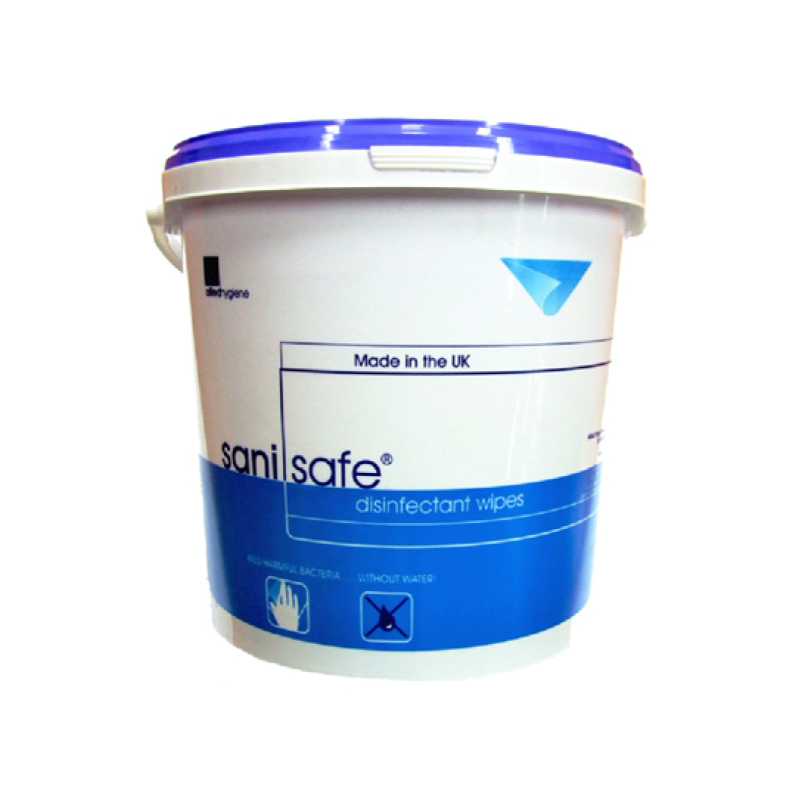 Fast acting and with a high kill rate, makes sanisafe the ideal product for areas where sanitised surfaces are paramount. 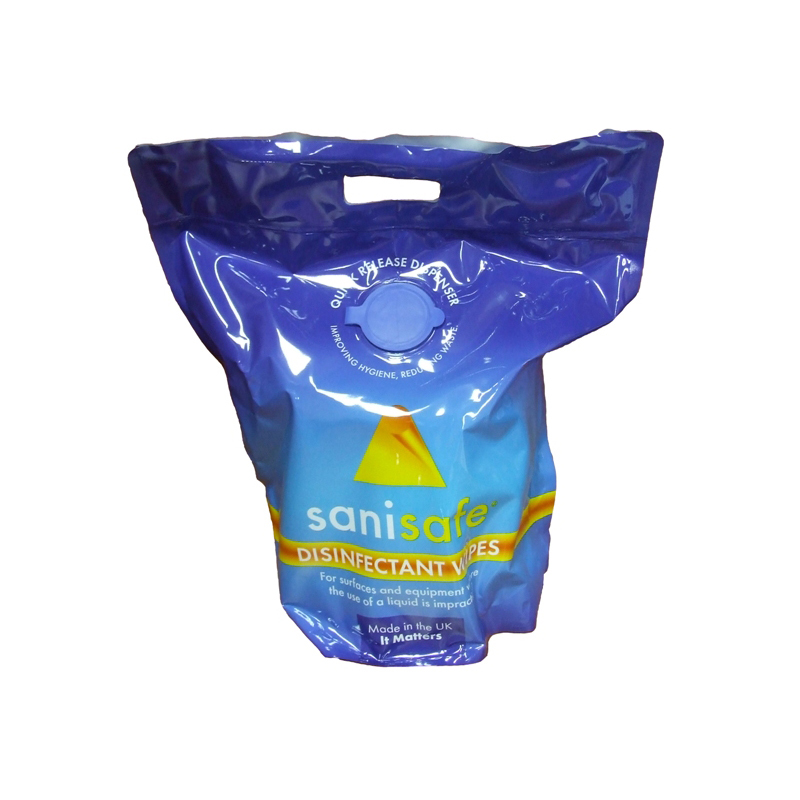 With a choice of up to 1000 sheets per bucket, sanisafe is ready to tackle the toughest of situations. 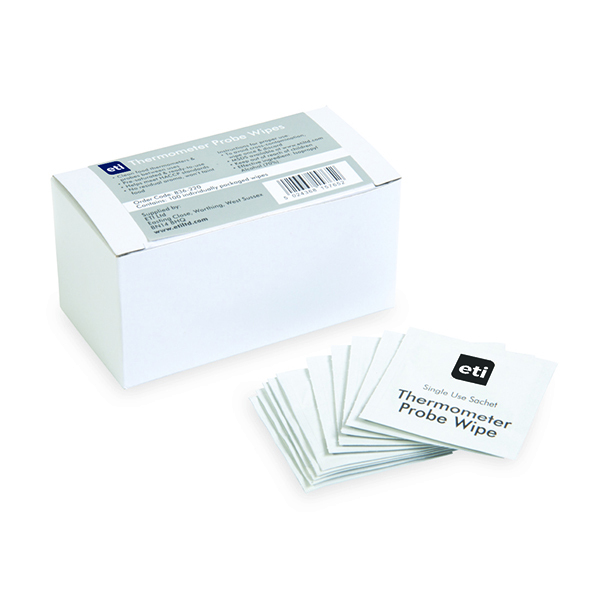 A sturdy dispenser bag fitted with the new QRD unit, a removable bayonet which allows for easy access to the wipe and greatly improves hygiene, minimising the risk of foreign bodies finding their way on to the wipes' surface. 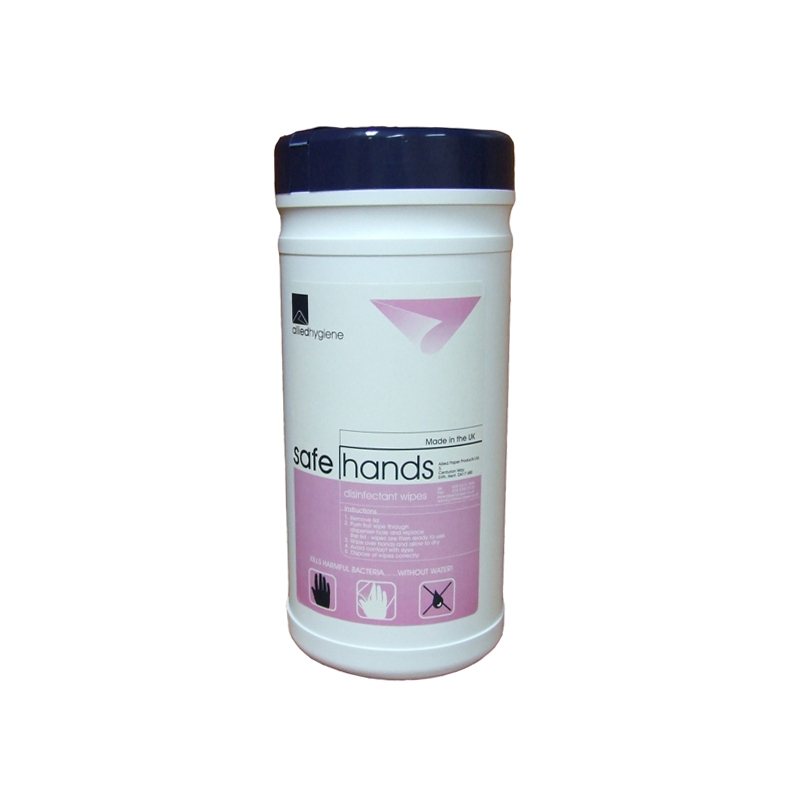 Combining an effective disinfectant solution along with the ideal cloth weight makes these hand wipes the perfect solution. Designed to be quick and easy they reduce the need for continued washing of the hands. 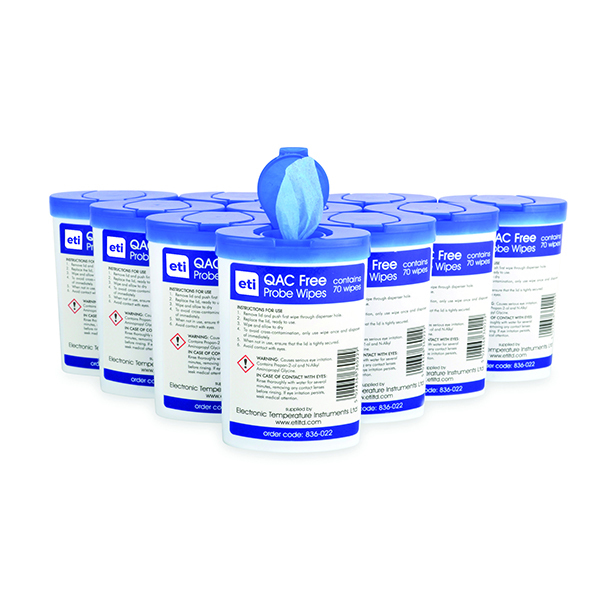 Safe Seat Toilet Wipes are impregnated with a bactericidal, fungicidal and virucidal that makes them ultra safe to handle and excellent at germ blasting. Produced and tested by an accredited laboratory. 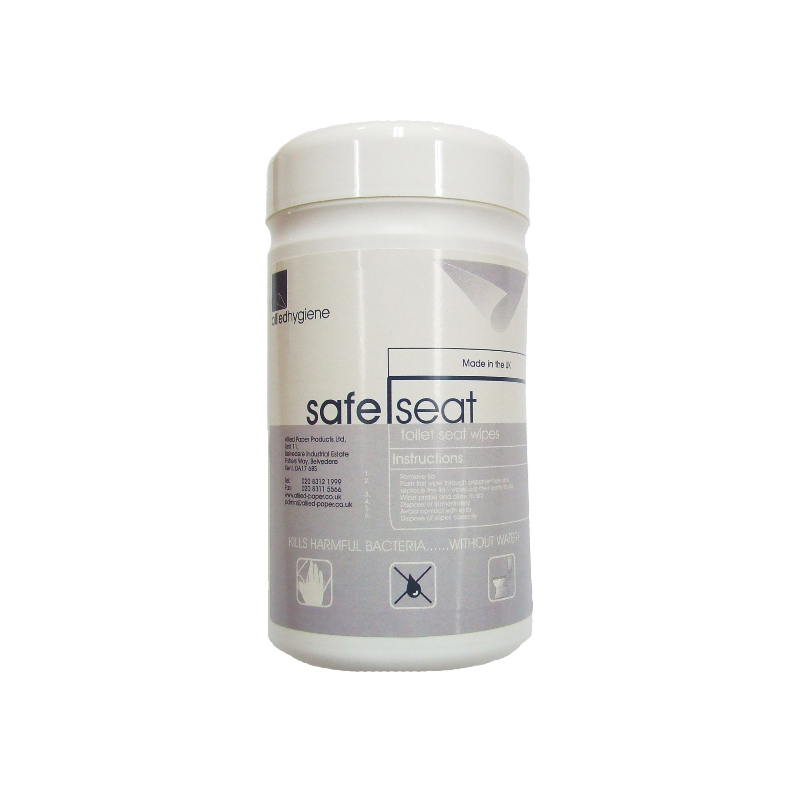 Safe Seat Toilet Wipes are alcohol impregnated thus aiding rapid drying - the toilet seat is dry and ready to use immediately after disinfection. 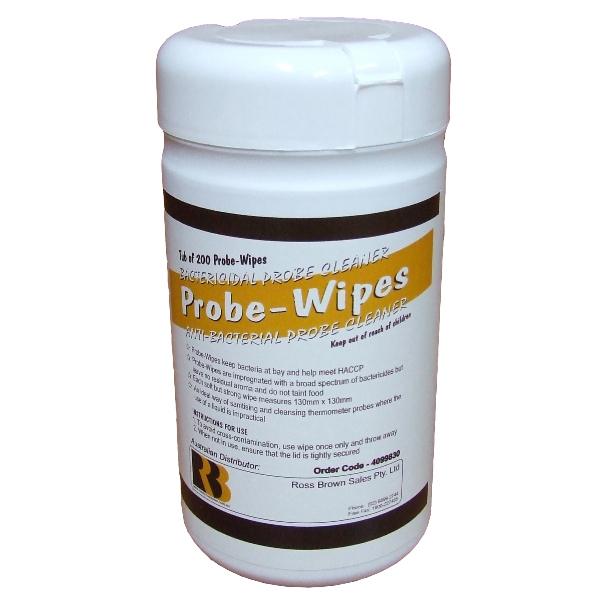 The Gym Wipes kill 99.9% of bacteria and viruses including MRSA, C.Diff, Candida and Swine Flu etc. 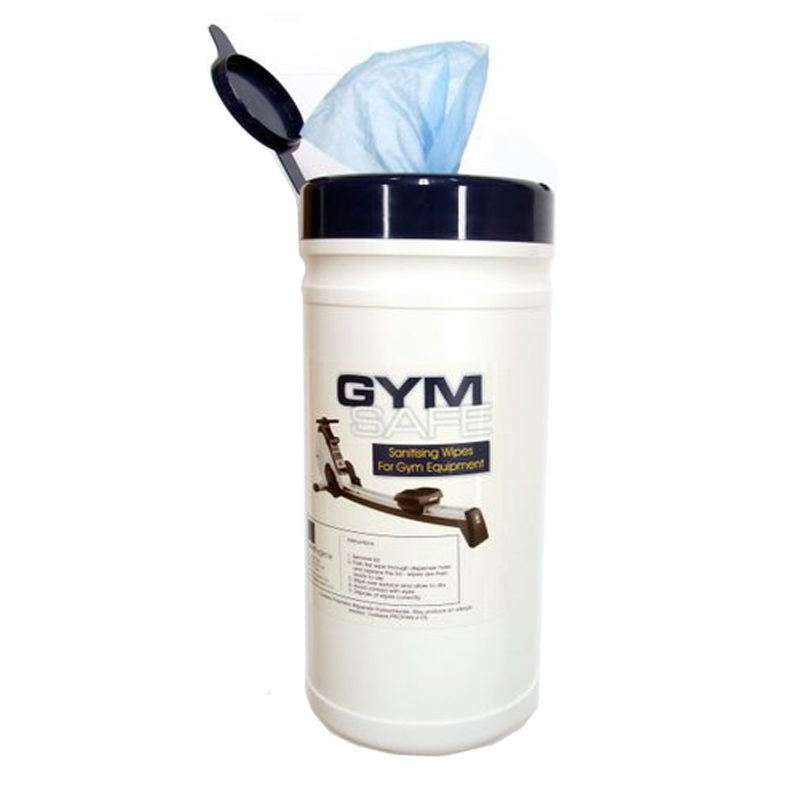 Gym Wipes are an alternative option to the traditional spray bottles and cloths typically used in fitness gyms. Conveniently, the Gym Wipes are a two in one making cleaning gym equipment quick and easy.